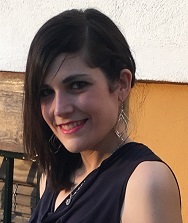 Noemí Marta Fuentes García is a Ph.D. student in the Department of Signal Theory, Telematics and Communications of the University of Granada (Spain). She is graduated in Computer Sciences by this same University (Bachelor Degree obtained by 2012). Since then, she has been working for several companies, what has driven her to find a link between research and enterprise. In 2015 she studied a Master Degree Software Development teached in the University of Granada. She always has been interested in security in informatics, and specially in communications, what made her to start her thesis based in network monitoring for anomalies detection and diagnosis by using data analysis.